American rabbi, professor, and editor; born in New York city Aug. 30, 1852. He was educated at New York University (B.A. 1871, M.A. 1873, Ph.D. 1878) and at the University of Breslau. 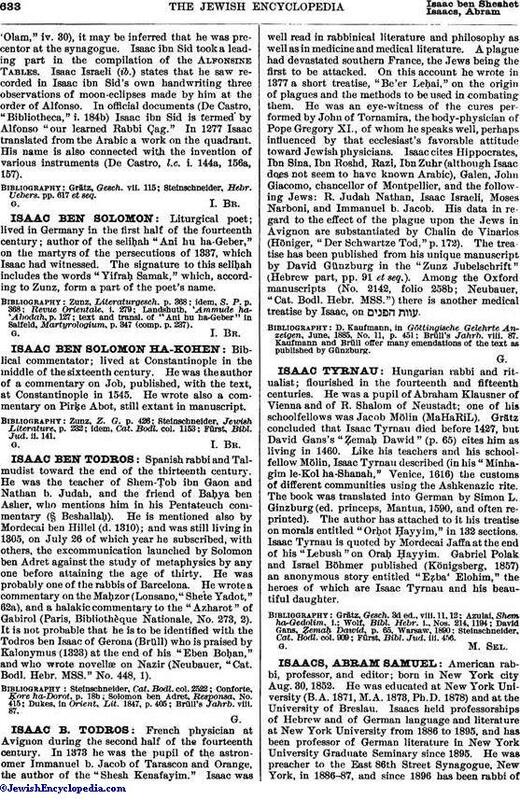 Isaacs held professorships of Hebrew and of German language and literature at New York University from 1886 to 1895, and has been professor of German literature in New York University Graduate Seminary since 1895. He was preacher to the East 86th Street Synagogue, New York, in 1886-87, and since 1896 has been rabbi ofthe B'nai Jeshurun congregation of Paterson, N. J. 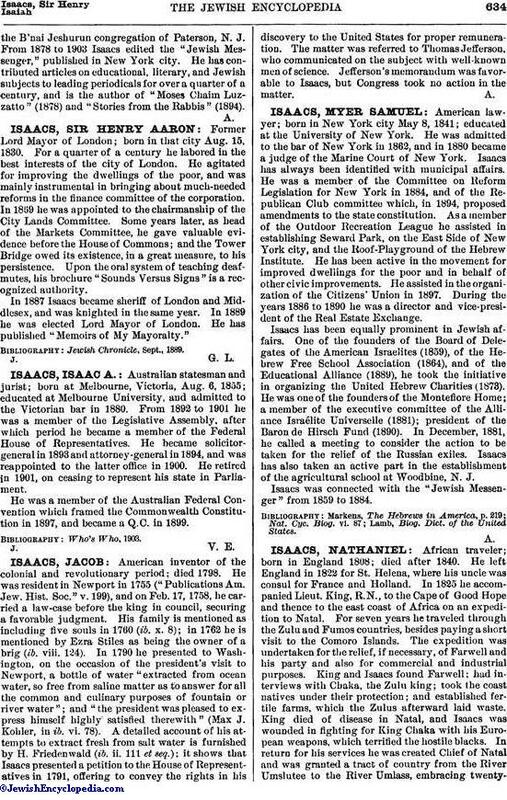 From 1878 to 1903 Isaacs edited the "Jewish Messenger," published in New York city. He has contributed articles on educational, literary, and Jewish subjects to leading periodicals for over a quarter of a century, and is the author of "Moses Chaim Luzzatto" (1878) and "Stories from the Rabbis" (1894).